Krasnoyarsk hosted the first stage of the Russian Ski Cross Cup as a test event for the Winter Universiade taking place in March. 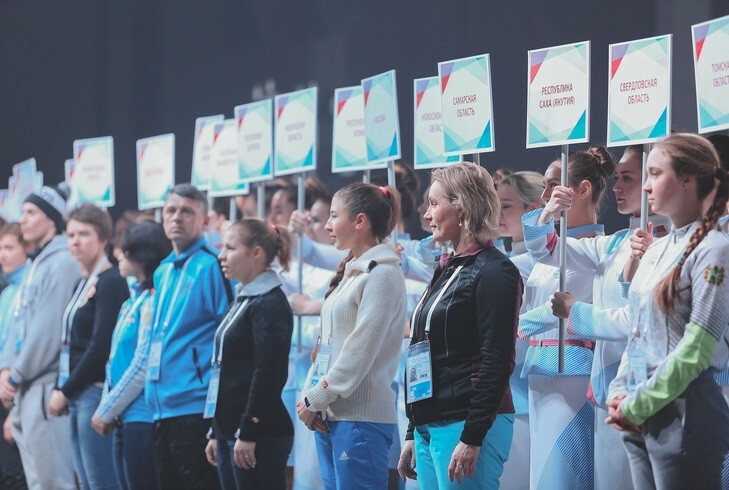 The event began with a ceremony held at Krasnoyarsk's extreme sports centre, Sportex, with the city's Minister of Sports, Krai Sergey Alekseev, declaring the competition open. A parade of the regions being represented at the event also took place, with a concert concluding the evening. Almost 300 athletes, the majority Russian, competed in either the individual sprint event, the men's 15 kilometre race or the women's 10km. The competition took place in Krasnoyarsk's Rainbow cluster, built specifically for the Winter Universiade, and attendance was free for all spectators. Olga Vokueva won the women's 10km, finishing in 30min 05.7sec. Behind her was Olga Tsareva with 30:07.9 and Diliara Sabirzianova in 30:32.9. Vokueva also got the gold medal in the women's sprint, recording a time of 3:35.08, while Hristina Matsokina and Anastasia Vlasova secured silver and bronze with 3:35.14 and 3:39.87 respectively. First place in the men's 15km went to Artem Nikolaev, winning in 38:18.7, with Maxim Zubtsov behind in second in 38:36.1 and Vladimir Frolov in third with 38:41.1. Alexander Panzhinskiy won the men's sprint after crossing the finish line in 3:29.41. Andrey Parfenov was second with a time of 3:30.10, while Ilia Poroshkin came third in 3:30.12. "I liked the stadium of the 'Rainbow' cluster - there is excellent lighting and a fairly wide track, so I believe that the athletes of the Winter Universiade 2019 will be satisfied with the conditions created," he said.